I was in Michigan this past week, in a secluded venue, with some very high level executives working on a common goal for three and a half days. The days were filled with intense exploration of ideas, gaining insights and shattering prejudices. I was extremely focussed and engaged in what was going on. The schedule was intense too. Morning sessions, lunch break, afternoon sessions, dinner ….followed by an evening session (and a gathering/decompressing) till midnight each day. During these long sessions, I did find myself recharging by taking 5-10 minutes to myself per day to bring out my iPhone and “be creative”. This “recharging” kept me refreshed and engaged….point is…creativity and fun can hone your attention span for longer than a tired brain. 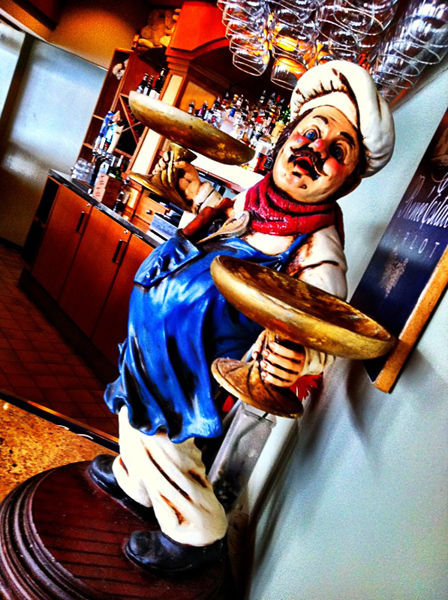 Here is an image I took in the “eating area” of our facility. Taken and processed in the iPhone. 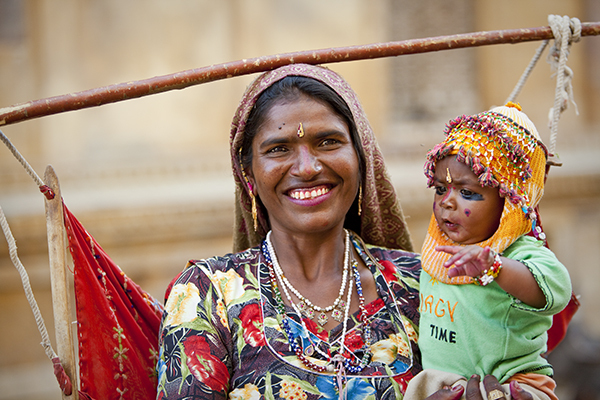 Here are four images of what I call Gypsies from India. Not really sure if that is the right term…but they are wandering folks, and kind of dress up brightly and sing and dance on the streets. Hope you like them. They are not works of art, but presented here to show a documentary style display of such folk. I was attracted to their smiles and their spirit. I feel that this lady had such an open presence to her. She was bright and cheerful without it being in your face or made up. There is something about her quiet smile that I really enjoy. 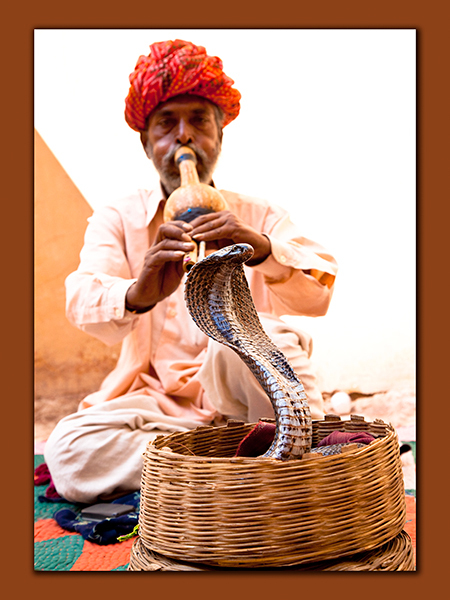 I was wondering if we would run into snake charmers during our visit. I had heard that these folks and people with performance monkeys were either banned or discouraged now-a-days in India. 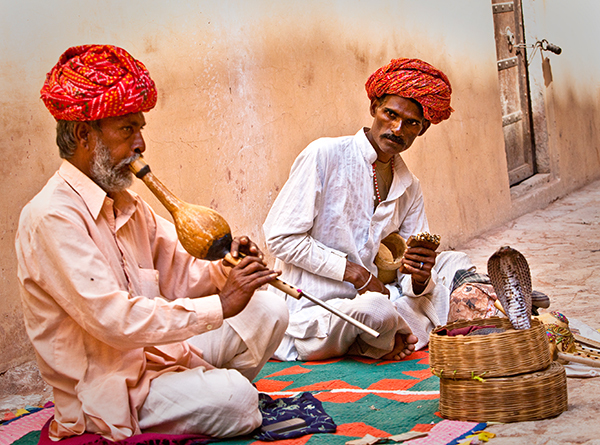 However, as we were leaving the Mehrangarh Fort, we ran into this group of individuals and their snake. Keith and I were so happy and spontaneously started shooting with glee. As we were doing this, the guys behind us, who were selling trinkets and paintings and postcards, came up to us and started watching us. 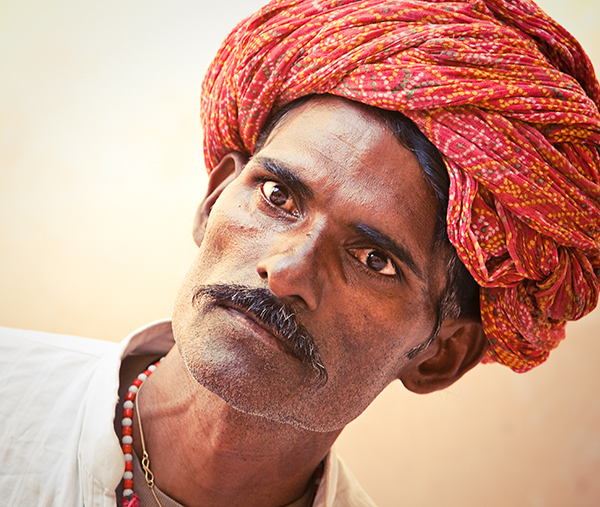 A couple of them asked me how much my camera costs…I was a tiny bit uncomfortable….why? Because I thought of two things: 1) it is so expensive, and they have so little…I was embarassed. and 2) I had a thought that knowing how expensive it was would make us prime targets for pick-pocketing and theft. By the way, not once did we lose anything throughout the trip or did we feel unsafe. Anyway, we took our shots, paid them their “fees” and left very happy! 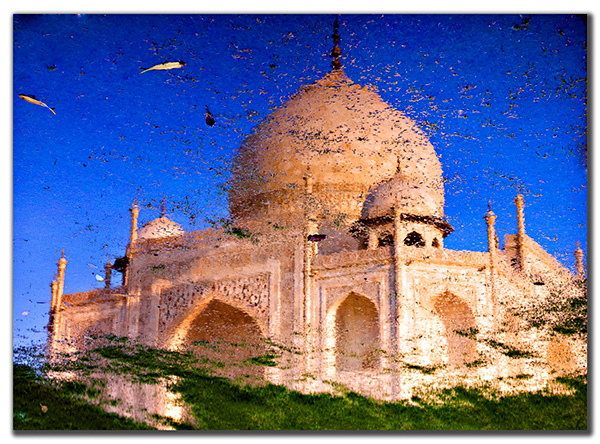 Taj is perhaps the most photographed icon of all times. I had never been to see the Taj Mahal before. I was curious to know if I would see it and say to myself…”Yup…it looks like the pictures I have seen a million times”. I was afraid of that. However, when I went to see it….from the very first time I laid eyes on it, it was overwhelmingly beautiful. It is glowing, ethereal looking, massive, spectacular, milky, and a silent beauty that looks back at you. You almost want to use hushed tones when you are in its presence. It brought tears to my eyes. I am not sure I can describe the feeling you get when you see it. Made me intensely desire to be a poet. Anyway, as far as photography is concerned, it was one difficult icon to shoot. It has been shot and shot and shot. I too took a million images of it. However, as I was walking towards the Taj, the immaculate lawns were being watered…and for some reason, there was a puddle in the lawn that I saw. In it was a silent reflection of the awesome monument. The puddle was not very big, but the image it held was huge. Here is a rendition of what I saw in the puddle. When I show this image to people, they either love it or hate it (processing, colors, crunchiness, etc). See what you think. Anyway….it truly was a site to behold!! 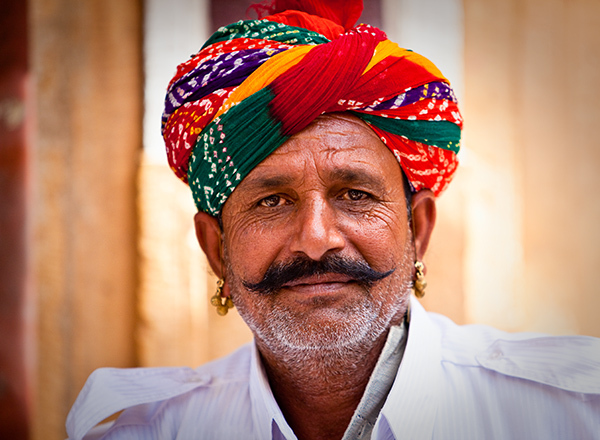 Rajasthan is so very colorful. There are women and girls in the most colorful of clothing. 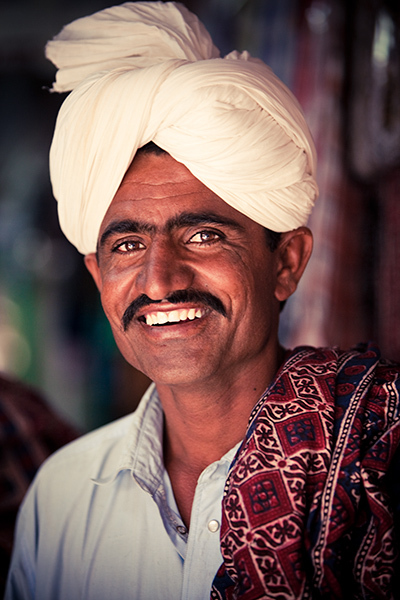 The markets and bazaars are a visual cornucopia of colors. 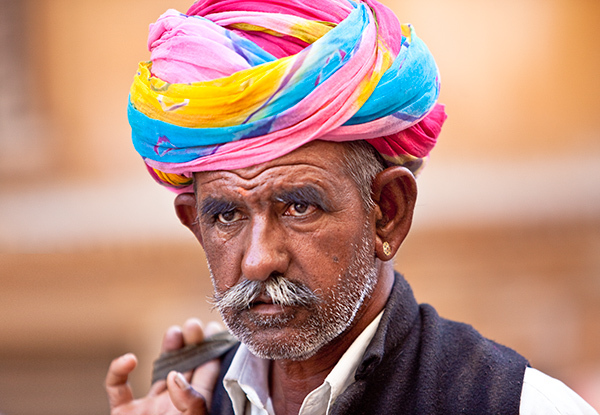 The streets are full of people and their wares – bangles, food, saris, spices, and much more. 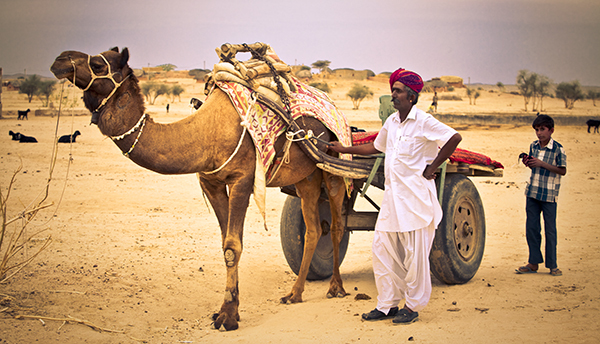 Life happens in a 1000 dimensional way in Rajasthan. 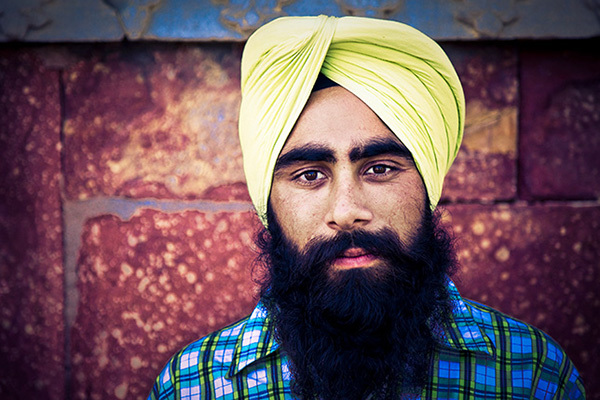 One of the fun things to note is the number of colorful turbans men wear. 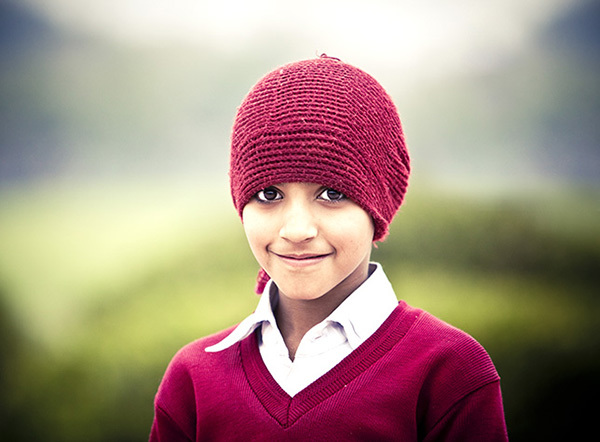 Here are some examples of such Turban-Wallahs. 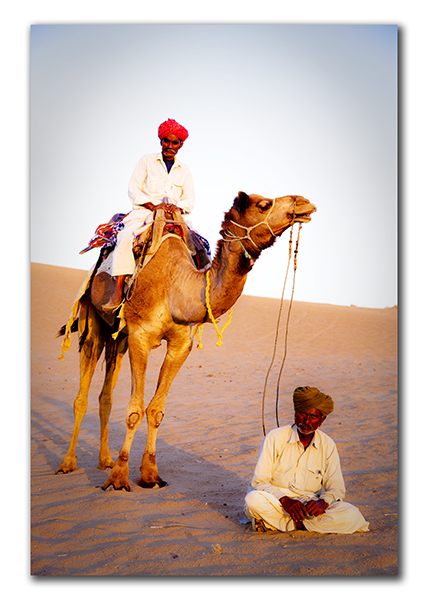 Today, I want to share with you images of the incredible time we had in Jaisalmer….a small desert town in the western part of Rajasthan….very near the Pakistan border. I will write later about the town and the beautiful people, shops, handicrafts etc. that I saw in this town. Also, there is a spectacular fort that rises suddenly and spectacularly right out of the desert in an incredible way. We drove an hour from this village, into the dunes area to shoot the sunset. On the way, we saw peacocks, camels, horses, tiny huts, colorful ladies carrying water home on their heads (a whole other story which I will talk about in a future post). 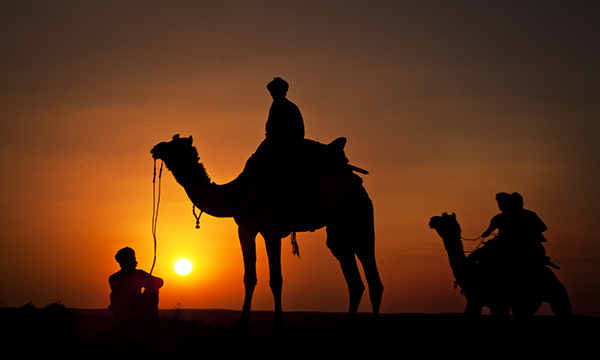 When we reached the desert camp, I negotiated with the owner to rent a camel cart to take us deep into the dunes, and an extra camel and a man with a turban to pose for us by the dunes at sunset. 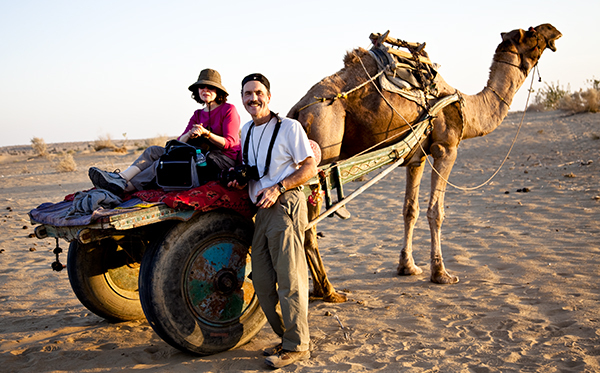 We rode this cart about 5 kilometers into the desert. It was an amazing experience….remote, peaceful, great light, only sounds of nature around us and an occasional antelope, peacock, camel or a child…..I could not believe I was experiencing such an incredible moment. I am grateful. Here are some pictures of the cart we rode…. I will post several more awe inspiring sight in the next post on this journey. The cart owner brought his son (the next generation cart owner :)) with him. Notice what he is holding in his hand…he was so intrigued by my Flip video camera…so I gave it to him, showed him how to use it and he video taped a ton of footage. I could not get him to stop shooting…it was funny. A few months ago, after a people photography workshop (Location People by Bryan Allan), a thought came to me so powerfully that I imagined a time warp zone where I was speeding at warp speed towards my destination…then it opened up in slow motion to a bright fully realized moement of this intention. I had goose bumps and I kept thinking of nothing else but that in my free time. What was this powerful desire I had? 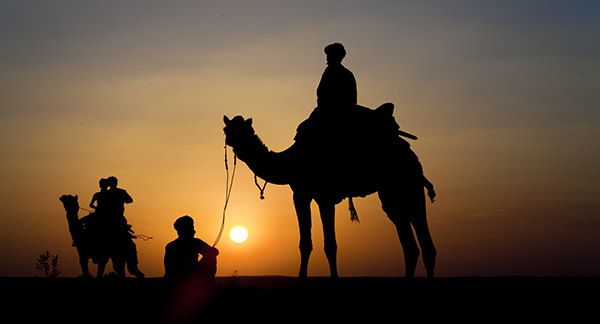 I wanted to go to India, see beautiful places and people…and come back with enough information that would allow me to start my own Photo-tourism business to India. This thought made me happy because it would combine many elements that bring joy to me…travel, meeting people, visiting India and seeing all the beautiful sight and scenes it provides, and most importantly capturing these moments though my camera. In addition, I wanted to share this feeling with many others and help take them to this exotic country and help them go through a similar sense of wonder and excitement about a far off country. Well, my experience on my recent trip with my photographer friend Keith and his wife Sharon was an amazing start of this journey. It was all that I dreamed it would be. The logistics, the cities and the sights were great. We had a ton of fun and came back full of excitement about getting my next trip planned…where I would like to take a small group (4-5 people) back to the same cities and show them all of the photographic sights I had seen. Intentions do become reality! I feel really grateful. I could not wait to come back and share this with you all. Thank you for your time in looking at my first few images. 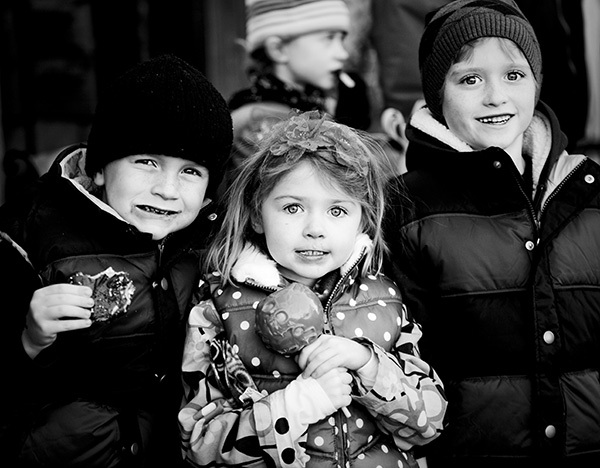 I loved shooting these kids. They are so full of fun, ice cream and excitement. I could have spent hours on them….but just spent 5 minutes. Aaaah. #7: India – That’s her name!! This is my very first attempt at using Alien Skin’s Snap Art 2. I downloaded a trial version today and have 30 days to try it and decide if I like this program and this effect. So, I will try and use this diligently for a few days and see how I feel. In the mean time, PLEASE let me know if you have any comments, suggestions, and ideas of how else to practice using this program It will help me work out things and see if I like it. Thanks for your comments in advance. 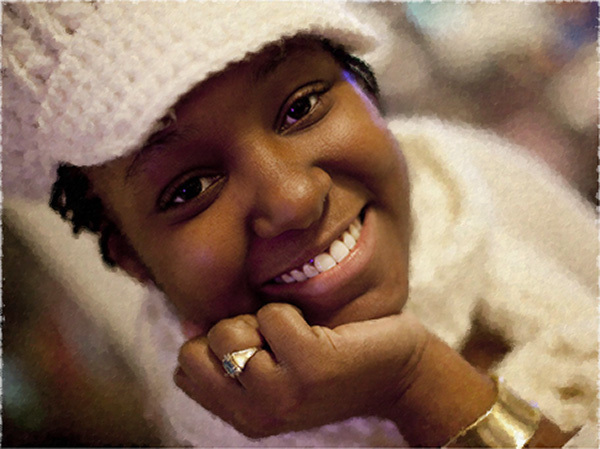 This image is of a very sweet person I met in Savannah, GA. Her name is India.